It is unfortunate that these six sonatas are the only ones remaining intact from the many Falckenhagen may have produced, for lute ensemble pieces of this quality are few and far between. 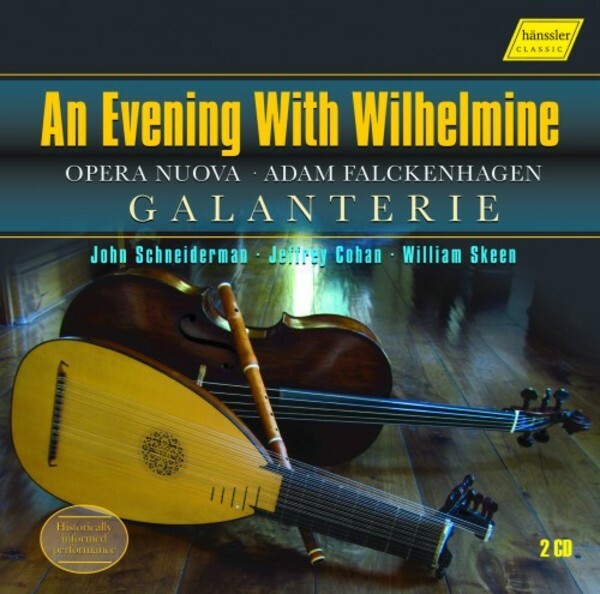 Falckenhagen is attempting to combine the resources of two quite different melodic instruments, one of which also has harmonic capabilities, on an equal footing. He transcends the more primitive practice of some of his predecessors where the lute merely doubles the outer two lines. Here the flute and lute are treated as equal partners, the spotlight shifting from one to the other, although true dialogue between the two is rarely sustained. From his surviving solo lute music we know Falckenhagen to be continually exploring the resources of his instrument and seeking new textural possibilities. One recurring Falckenhagen hallmark in this 'Opera nuova' appears to be the use of octave movement to mark cadences. Did he use it elsewhere?